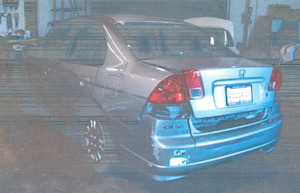 Above are photos of vehicle property damage for two cases I recently handled. Can you tell by the photos which client sustained the greater injury? Well, the clients in Car A above walked away with a few bruises and glass scratched. The client in Car B suffered a cervical disk injury with disk replacement surgery. That case went to verdict in December and the jury awarded over 4 Million Dollars. The angle of collision plays a big role in what forces the neck experiences, and what tissue is damaged. A head-on crash is actually typically less harmful than a collision from an angle where the spine may be twisted. The heavier the rear car and the faster it is moving, the more force is directed into the occupant in the front car. If the front car is large, there may be little apparent damage to the vehicle. A smaller can can experience much more acceleration even if the impact is minor. More acceleration equals a greater chance of injury. Was the roadway dry, wet or icy? The amount the car moves after impact is critical and an accident on ice or gravel is likely to be more serious than one on a dry asphalt pavement. Where was the patient looking? A turned head will expose the patient to more stressors and an increased injury risk. Women have a much higher chance of chronic neck pain than do men. Sometimes, being braced can lessen the chance of injuries. However, bracing of arms and legs can lead to injury in those areas of the body. 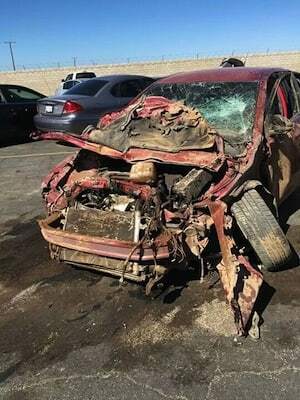 Head Restraints not utilized properly. If the headrest is too low it can act as a pivot for hyperextension. Typically seat belt use decreases the chance of a serious head injury but increases cervical and lumbar strains. Can complicate the injury patterns. A history of pre-existing spinal degeneration or of headaches can complicate healing. People who report pain onset immediately are more likely to have long term problems down the line. I’m Ed Smith, a Sacramento personal Injury Lawyer. Feel free to have your clients call me anytime for free, friendly advice. Or call me yourself for any medico-legal issue. In Sacramento, I can be reached at 916.921.6400. You can find my firms reviews on Yelp or on Avvo.